I have a fun and easy project for you today that is not only cute, but very inexpensive to make. I challenged myself to make a fun wreath out of items all from the Dollar Tree. I wanted a large wreath that didn't cost a fortune, and I was able to make this for under $15.00, and here is how you can as well. I was inspired by clip on succulents that I found in the gardening section at the dollar store. I bought about 12 of the ones that were the most realistic looking. Can you guess what the base of this wreath is? 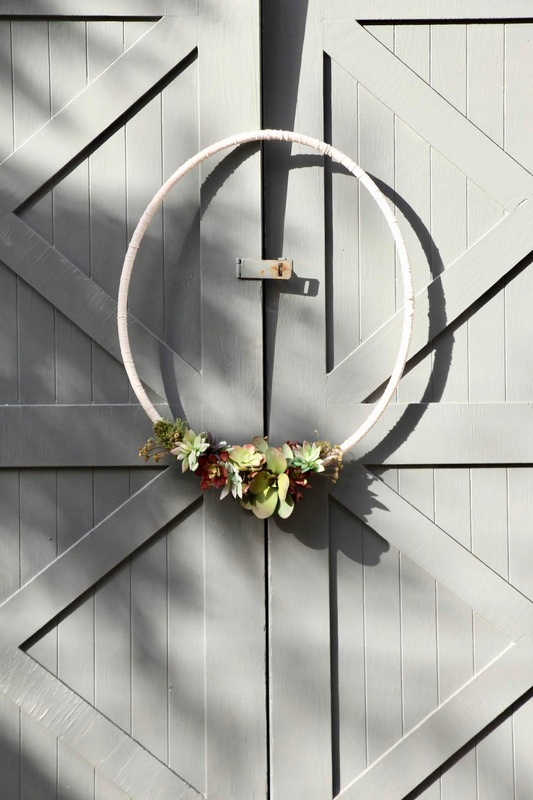 It is the perfect size and shape for this oversized wreath. I used natural twine, and wrapped it around the hoop. It didn't take as long as I thought, and it doesn't have to be perfect. You just want to cover up the hula hoop itself. 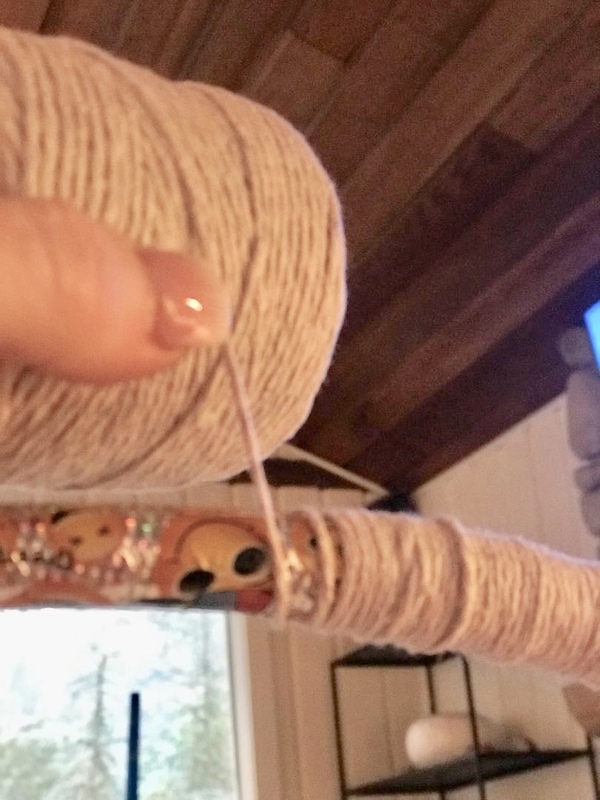 Once I got all the way around, I simply tied the end and hot glued it down. 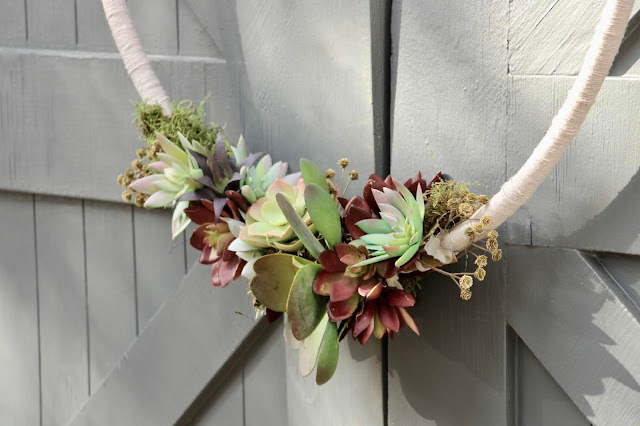 I used zip ties to attach the succulents from the clips on the backs, onto the hoop. Then to fill in the gaps and cover up the zip ties, I hot glued on some moss. Isn't it cute? Perfect for your Spring decor. I don't know where you could buy a wreath this size for $15.00. 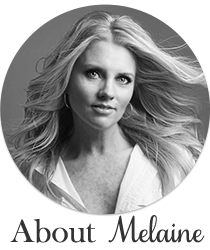 I hope this inspires you to make one of your own. For even more wreath inspiration, click on the links below for more DIY's. 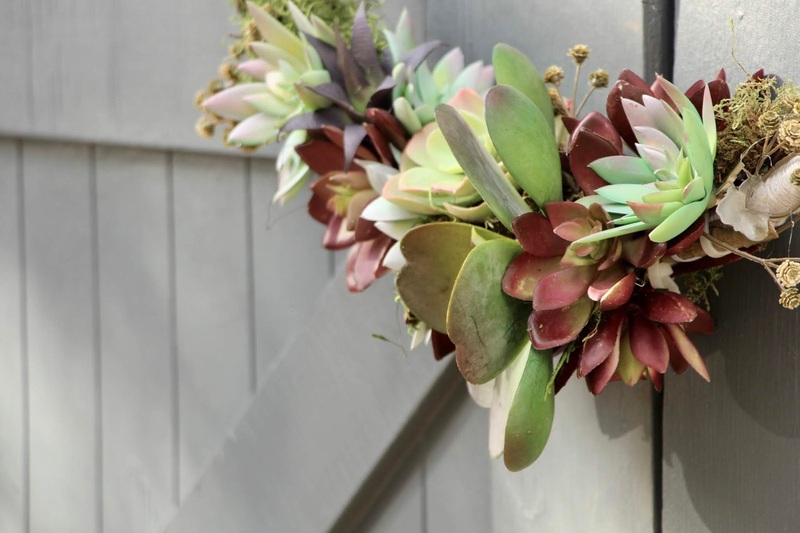 ooo I love how modern this wreath looks. 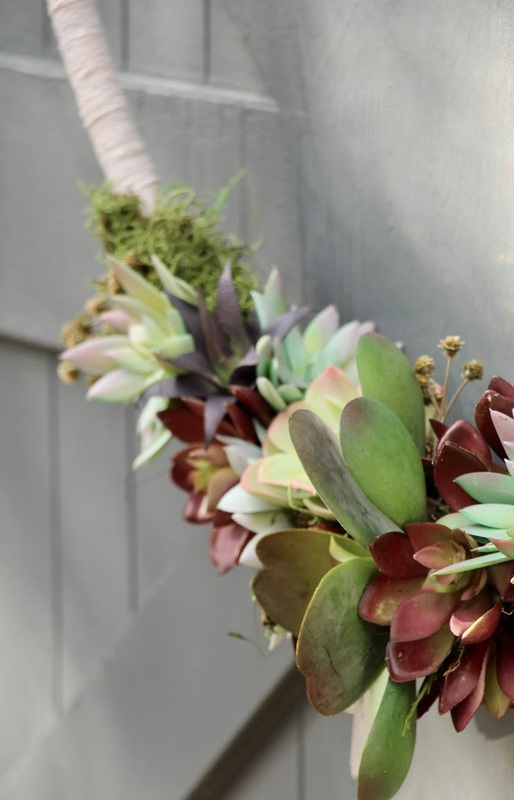 The succulents are perfect ! 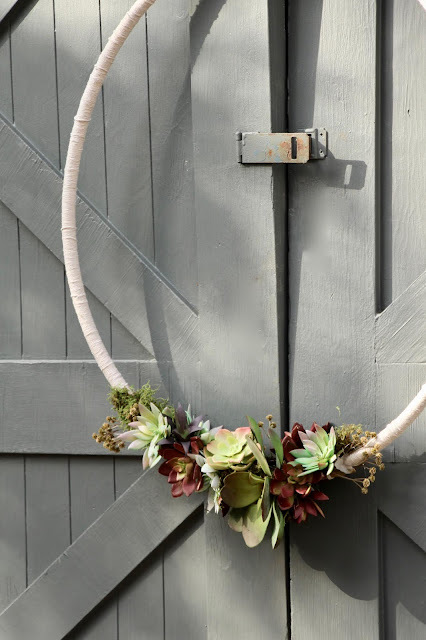 I love the simplicity of this wreath. It is so gorgeous for Spring. I love it! 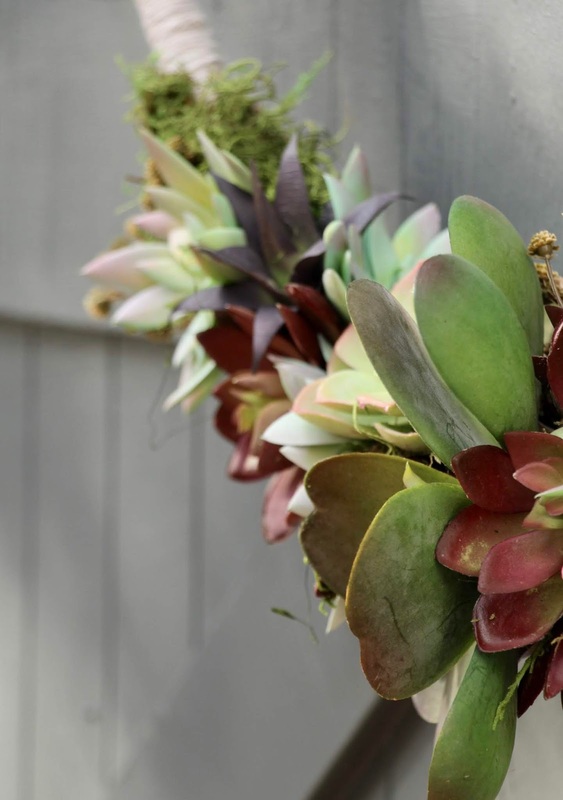 Succulent wreaths are my absolute fave! Love the oversized nature of this!! So pretty!